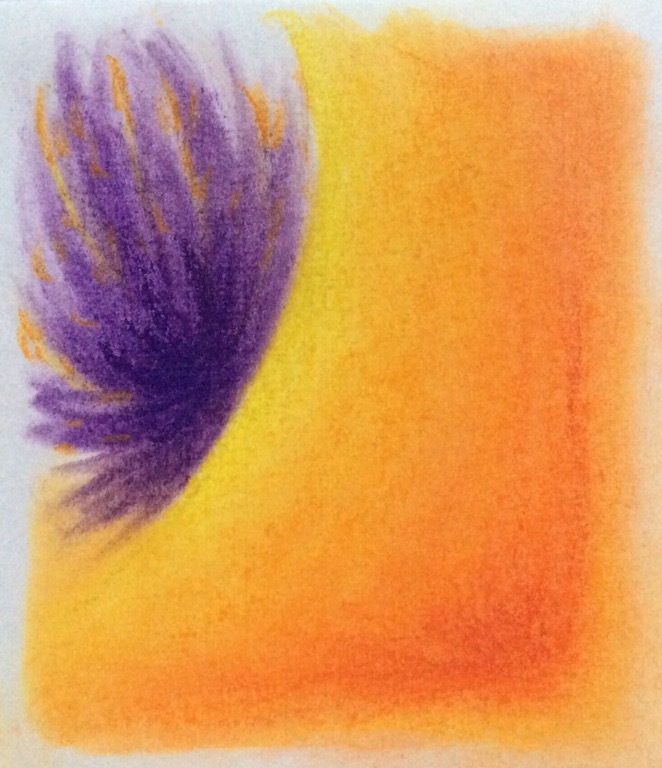 One of our instructors asked us to reflect on our foundation year and then create some abstract art using pastels. Then, we passed our artwork around to the other members of our cohort who were asked to use one word to describe the artwork. We then cmposed a poem using only the words that were given to us by our classmates. My results are below. It’s been quite the year. It may seem trite, but it truly has been a year of growth. I came into this Waldorf adventure having very little knowledge of Anthroposophy or Rudolf Steiner. All I really knew is that the opportunity of being a teacher would allow me to spend time with children and make a lot of art. I was called into exploration. Before beginning my foundation year, I was working at a decent job with great people but I truly wanted to make a more personal impact on the world. I was pursuing graduate school in speech-langauage pathology, feeling charged by compassion and open-minded to various teaching techniques. I have a passion to help those who have trouble communicating do so more easily. It is such an essential aspect of our livelihood. What I have realized during my first year of Waldorf teacher training, is that one must not only have a grasp of language, but must also have a strong connection to their own emotions in order to be able to communicate deeply and truthfully. For me, that means giving myself time for active reflection. For the children, that means be exposed to (and giving context to) all of the feels. The good and the bad, the simple and the ugly, love, life and death. All of it.